Trying to keep healthy and fit are things a lot of people want to achieve throughout their lifetime – after all, not only is getting sick inconvenient, it can cause a lot of trouble in terms of finances and other aspects of your personal life. If you want to try a diet plan or make adjustments to your nutritional intake, you need to be aware of particular risks and effects certain additions and reductions to food may have to your body. For instance, ketosis flu is a known side effect of suddenly and drastically undergoing a low-carbohydrate nutrition intake, like if you chose to do a ketogenic diet. In fact, ketosis flu appears to be quite the common experience amongst those undergoing a ketogenic diet, and is the first step towards ketosis – which is the part of the diet that can help give the most benefits. In this article, we’ll discuss ketosis flu symptoms to watch for when entering ketosis. Those who may have heard of ketosis would most likely be familiar with a ketogenic diet, which is a form of dietary plan that aims to help people lose weight by undergoing a high-fat but low-carb nutrition option. According to Healthline, those who undergo a ketogenic diet may experience benefits against metabolic syndrome and Type 2 diabetes, among others, aside from losing weight. However, undergoing a ketogenic diet isn’t a walk in the park, as chances are the body will definitely have a reaction to a diet plan that suddenly cuts a huge portion of carbohydrates out of its system. After all, the human body is used to get its energy from carbohydrates more than anything else – which means the body adjusting to a ketogenic diet will definitely mean experiencing some physiological changes. 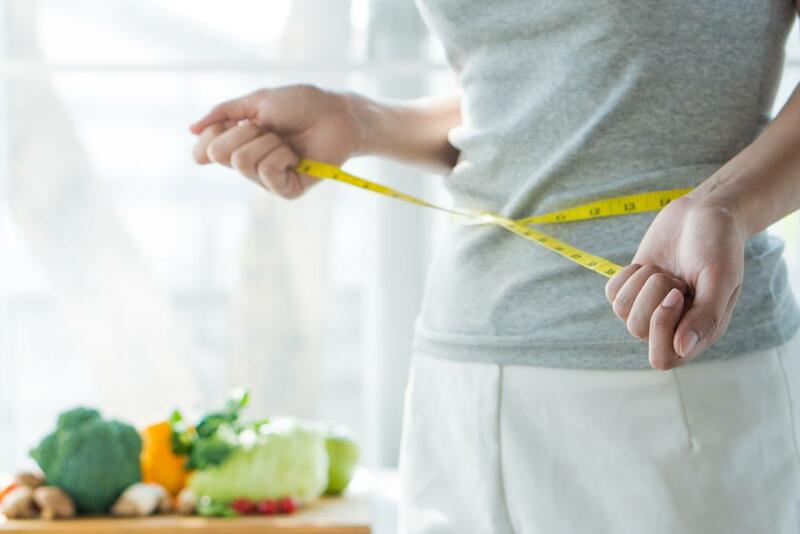 This doesn’t mean you should quit ahead, however, but more on the lines of being aware what you’re getting into before you reap this diet’s benefits. With the above in mind, it’s important to understand that while entering a particular diet plan can greatly help your health and your wellness, overestimating your body’s capacity to handle the requirements and effects of such a dietary plan can be potentially catastrophic. For instance, in the case of ketosis, it can be quite the inconvenience if not treated properly. However, let’s first start with the basics – just what is ketosis, and why is there ketosis flu? If you’ve recently started a ketogenic diet, you’re likely going to experience a few interesting things during the start of your journey – these may include having a hard time concentrating, being easily annoyed, having constant headaches, or feeling tired. These are just some of the symptoms of ketosis flu – and while it’s not always dangerous or contagious, it can certainly be extremely unpleasant for anyone who experiences these. Ketosis flu is caused by your body transitioning from having to burn sugar – carbohydrates – to having to burn fat in order to compensate for its energy needs. This is because a ketogenic diet is often associated with the “switch” from a high-carbohydrate diet into a low-carbohydrate diet, and is designed to regulate the insulin levels of your body. When this happens, the liver starts to convert fat into ketones, which your cells can use when glucose from protein is absent. When your body has started to use fats and ketones for energy, this is called ketosis. Naturally, as with any parts of life, your body and brain needs to adjust in order to fully work with the ketosis process. For instance, more water and sodium are excreted when insulin levels drop, which is often why you may find yourself urinating a lot during the first week of your ketosis diet. This is also why a lot of people experience immediate effects when undergoing this. Ketosis flu can be experienced by those undergoing a ketogenic diet normally within their first week. This is temporary, which means you’ll start to be fine after a few days, but it can still be quite a pain in the neck to experience. Have you experienced fatigue and other signs of fatigue such as headaches, dizziness, nausea, and muscle cramps? These are normally associated with having ketosis flu, as your body is just starting to adjust to not using its storage of carbohydrates. Do you experience having lack of focus and lack of motivation? These emotional and mental strains are normally associated with the body not being able to rely on carbohydrates in order to do mental tasks, which means it’s still adjusting to your overall ketogenic diet. Do you have intense sugar cravings? Undergoing ketogenic diet means not eating a lot of carbohydrates, something your body gains from sugary foods. Having a huge craving for sugars is a sign of having ketosis flu. Can You Achieve Ketosis Flu Relief? Given that ketosis flu makes you urinate and lose salt a lot, chances are you’re going to be dehydrated, hence the cause of dizziness, nausea, and lethargy. A good remedy for this is not only to increase your salt and water intake, but you can actually just add half a teaspoon of salt to a glass of water. If you want something tastier, beef stock, chicken stock, bone broth, or bouillon with a spoonful of butter that is salted can help. Increasing your fluid and salt intake normally can help resolve most ketosis flu symptoms, but if not, you may want to go to fat. Increase your fat consumption throughout your keto journey so your body will get used to depending on it for your energy intake. You can eat more fat at the beginning of your diet, and start to regulate it after a few months when you’ve noticed that your ketosis flu has passed. Don’t shock your body into the transition. If you still feel off and tired, try not to immediately cut carbohydrates and instead ease into the process. The goal after all isn’t to lose weight or be healthy immediately, but get to a point that adaptation becomes natural for you and your body. Don’t get into physical activity immediately. Working out can definitely supplement a keto diet, but you shouldn’t rush into it immediately. Try working out after the fourth week of your keto diet, as this normally shows better endurance and strength amongst those who regularly exercise. Do remember, however, that these relief methods aren’t end-all, be-all solutions for ketosis flu symptoms. Once you feel as though these symptoms have become worse, or if you have other health concerns that need checking – such as allergies and other conditions that need prescription medication or other treatment – it’s safer to ask for a physician’s advice on the matter in order to keep yourself healthy. Reading the above, it’s important to remember that while undergoing certain diet plans can indeed help jumpstart your wellness and your fitness, being aware of the risks and the potential effects a particular diet plan can have are also things you should look into. Not all people are compatible with particular nutrition styles, and not everyone can handle cutting or adding certain food on their diet because of restrictions including allergies and certain physiological situations. As such it’s essential that you try your best to at least consult a dietician or a physician first before attempting to undergo a particular diet plan, such as a ketogenic diet. After all, what’s the use of healthy eating or being fit if it ends up making you sick, right? Hi my name is Ales and I am the owner and content writer on BlogGuru.Net. My passion is health, fitness and personal growth and as a result I like to share my findings about things I have discovered for myself. Everything I write about comes from personal experience. I believe that we can achieve so much more if we truly work on it.